In the tradition of the Lyon Knee Surgery Days, the entire team of our Association is delighted to welcome you to Lyon for this 18th edition of the Congress! We wish you a warm welcome to Lyon and we hope that you have a good conference. In the tradition of the Lyon Knee Surgery Days, the entire team of our Association is delighted to welcome you to Lyon for this 18th edition of the Congress! We wish you a warm welcome to Lyon and we hope that you have a good conference. 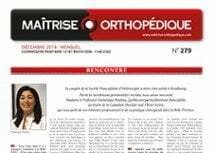 This special issue of Maitrise Orthopédique specifically dedicated to this 18th edition is a good opportunity to share some information about our Association and our Congress. First of all, we offer you a brief look at our History, to better understand who we are. 1. The Lyon Knee Surgery Days: the legacy of an orthopaedic surgical culture. Lyon "one of the capitals of orthopaedic surgery and knee surgery". To understand the influence of the Lyon School in orthopaedic surgery, we’ll have to delve into the origins of orthopaedic surgery and its status as a specialty within surgery in general. 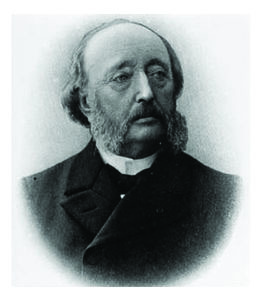 Orthopaedic surgery in Lyon began with Léopold Ollier (1830-1900) who, after being named senior surgeon in the Lyon hospital internship competition, was the father of experimental surgery and orthopaedic surgery.